The Colibri Group Announces Investment in Securities Training Corporation - Berkery, Noyes & Co., LLC. REDWOOD CITY, Calif.–(BUSINESS WIRE)–The Colibri Group (“Colibri”), a leading provider of learning solutions to licensed professionals within the real estate, healthcare and personal care markets, is pleased to announce it has closed on an investment in Securities Training Corporation (“STC”), the market leader in securities training. Paul Weisman, current CEO of STC, will continue to lead the STC business and will join Colibri’s leadership team led by Mike Duran, CEO of Colibri. The rest of the STC management team will also remain in place. 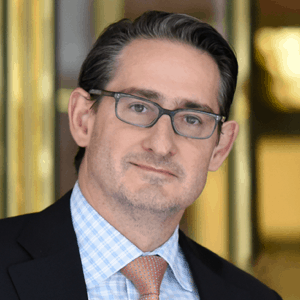 Headquartered in the financial district of New York City, STC has grown to become the leading provider of financial examination training, offering FINRA, firm element, regulatory element, and their most recent Life, Health and Accident Pre-licensing courses. Since its foundation in 1969, STC has helped over 1,000,000 candidates pass FINRA regulatory exams and launch their career. STC is the latest investment Colibri has made to expand the universe of licensed professionals it serves. 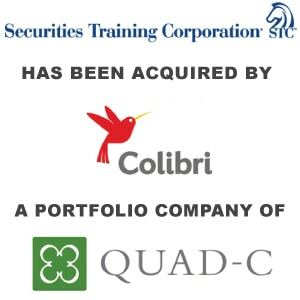 Colibri is backed by Quad-C Management, a leading middle market private equity firm based in Charlottesville, Virginia. Berkery Noyes acted as the sole financial advisor to STC in the transaction. The Colibri Group provides learning solutions to licensed professionals who strive to be among the best in their fields. Through five leading brands – McKissock Education, Real Estate Express, The Institute for Luxury Home Marketing, Superior School of Real Estate, and Elite Professional Education, the company serves over 500,000 professionals annually within the real estate, healthcare and personal care markets, among others. Its learning products give working professionals a competitive edge by combining up-to-date information, practical on-the-job application, and online accessibility. To learn more about The Colibri Group, visit www.colibrigroup.com. Founded on Wall Street in 1969, Securities Training Corporation has successfully helped over 1,000,000 candidates pass FINRA regulatory exams and launch their careers. STC has grown to become the leading provider of financial examination training, offering FINRA, firm element, regulatory element, and their most recent Life, Health and Accident Pre-licensing courses. STC is focused on the commitment to providing a wide range of superior products and updated training material to their clients to help candidates reach their goals. STC’s corporate headquarters is located in the financial district of New York City, and maintains branch offices in Chicago, San Francisco and Boston. To learn more about STC’s offerings, please visit www.stcusa.com. Founded in 1989 and headquartered in Charlottesville, Virginia, Quad-C is a middle market private equity firm focused on investing in well-established business services, consumer, general industrial, healthcare, specialty distribution and transportation and logistics companies. In its 25-year history, Quad-C has invested over $2 billion of equity across more than 50 companies. The Quad-C team is committed to partnering with entrepreneurs and management teams to accelerate growth and create long-term value. To learn more about Quad-C Management, please visit www.quadcmanagement.com. Buyer Parent: Quad-C Management, Inc.